The essence of my unchanging argument is as follows: An exponential growth of human population can be supported for a while by a similarly exponential increase of production of power as primary energy per unit time and food we must eat each day. After a certain time interval, whose length depends on the rate of population growth and technology, both the population and the means of its survival must stabilize or collapse. The elapsed time to collapse depends strongly on the rate of deterioration of environmental services of the Earth: abundance of clean air, water, good soil, large healthy forests, and biodiversity in general, as well as on the healthy oceans. Please note the two key phrases: "for a while" and "a certain time interval." My argument is generally rejected, because most people focus on the here and now, and forget that a few decades are less than a blink of an eye in history of humanity. In the more sophisticated circles of "main-stream" economists, my argument is summarily dismissed as Malthusian. 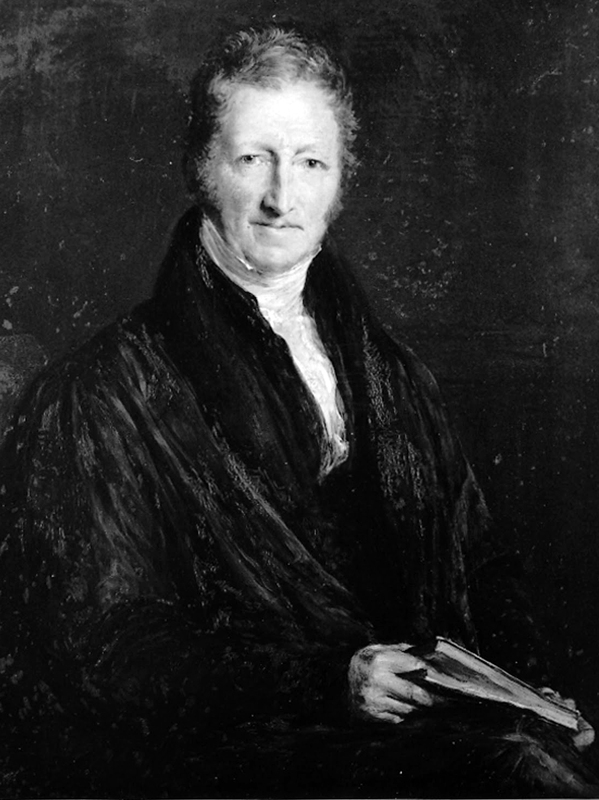 Thomas Robert Malthus was one of the most influential economists of all times. His anonymous Essay on the Principle of Population was published in 1798. The second edition, revised in 1803, had a longer title too: ..., or a View of its Past and Present Effects on Human Happiness; with an enquiry into our Prospects respecting the Future Removal or Mitigation of the Evils which it occasions. It contained an analysis of the unequal nature of food supply to population growth. The exponential nature of population growth is today known as the Malthusian growth model: "This natural inequality of the two powers, of population, and of production of the earth, and that great law of our nature which must constantly keep their effects equal, form the great difficultly that appears to me insurmountable in the way to the perfectibility of society." The first modern professor of political science, the first faculty fully endowed by a corporate chair and - according to some - a unique scoundrel. 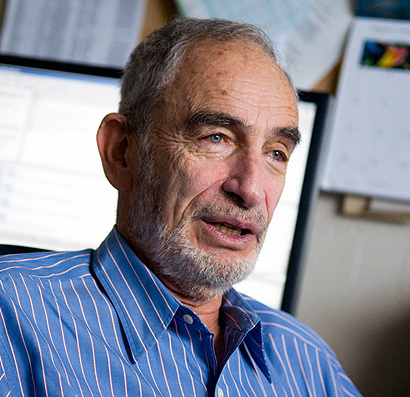 Enter the famous bet between Julian Simon and Paul Ehrlich. Julian Lincoln Simon was a professor of business administration at the University of Maryland and a Senior Fellow at the Cato Institute at the time of his death, after previously serving as a longtime business professor at the University of Illinois at Urbana-Champaign. Simon strongly believed that the infinite Earth can support an infinite human population and infinite consumption of resources over infinite time. I summarize such views as cornucopian, a term derived from the cornucopia, the "horn of plenty" of Greek mythology, which magically supplied its owners with endless food and drink. Paul Ralph Ehrlich is an American biologist and educator who is the Bing Professor of Population Studies in the department of Biological Sciences at Stanford University and president of Stanford's Center for Conservation Biology. Ehrlich is best known for his dire warnings about population growth and limited resources. 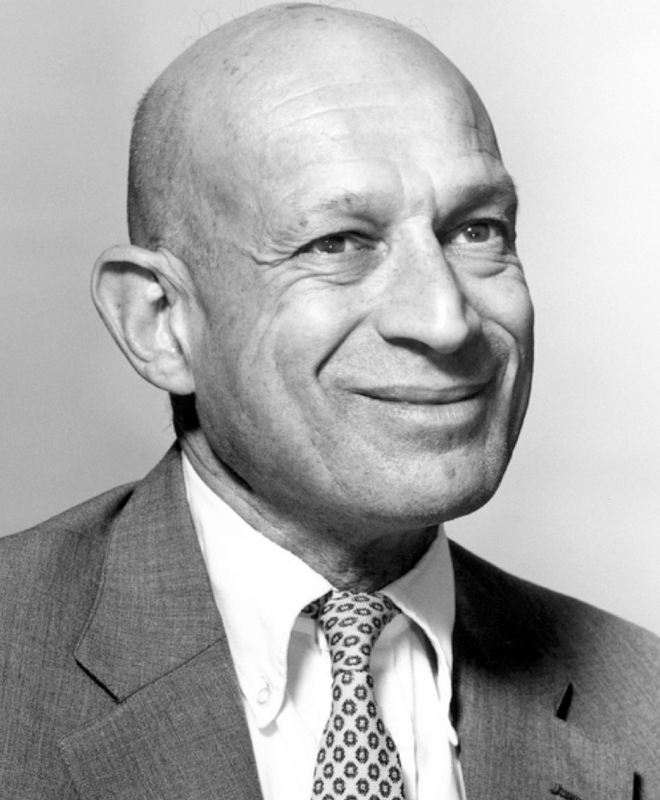 Ehrlich became well-known after publication of his controversial 1968 book The Population Bomb. Paul Ehrlich's views can be summarized as Malthusian. In 1980, Julian Simon and Paul Ehrlich decided to put their money where their predictions were. Ehrlich had been predicting shortages of various natural resources, while Simon claimed natural resources were infinite. Simon offered Ehrlich a bet centered on the market price of metals. Ehrlich would pick a quantity of any five metals he liked worth $1000 in 1980. If the 1990 price of the metals, after adjusting for inflation, was more than $1000 (i.e., the metals became more scarce), Ehrlich would win. If, however, the value of the metals after inflation was less than $1000 (i.e. the metals became less scarce), Simon would win. Ehrlich agreed to the bet, and chose copper, chrome, nickel, tin and tungsten. By 1990, all five metal were below their inflation-adjusted price level in 1980. 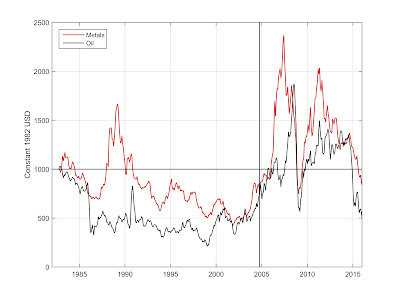 Simon won, based on this particular snapshot of commodity prices, and the world sighed with relief. So here is my update. Click on the image to enlarge it. Value of the metal portfolio chosen by Paul Ehrlich - with chromium substituted by zinc and tungsten by silver - in dollars of the day (red curve). The chromium and tungsten prices are not readily available in public domain. The chromium price behaves similarly to that of copper, but with less variation. The tungsten and silver prices behave similarly. 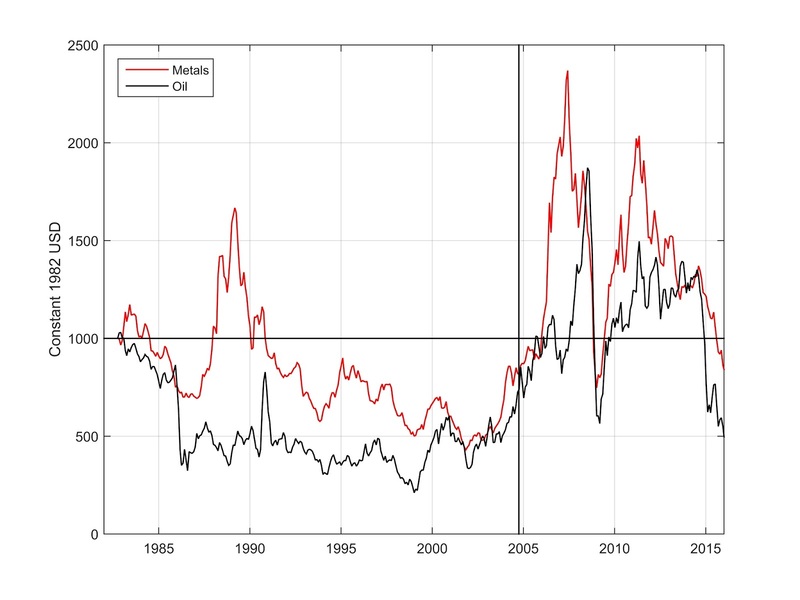 The black curve is $1000 worth of West Texas Intermediate (WTI) crude oil. The vertical line denotes October 2004, when the global production rate of conventional petroleum and lease condensate reached a plateau. 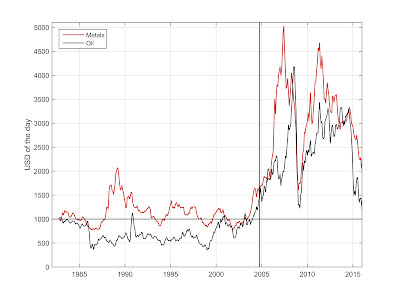 Note the close correlation of metal prices with oil price post 2002. In dollars of the day, Ehrlich won most of the time. Updated 1/30/2016. Click on the image to enlarge it. Value of the metal portfolio chosen by Paul Ehrlich - with chromium substituted by zinc and tungsten by silver - in constant 1982 dollars (red curve). The black curve is $1000 worth of West Texas Intermediate crude oil. The vertical line denotes October 2004, when the global production rate of conventional petroleum and lease condensate reached a plateau. In constant dollars, Simon won 60% of the time between September 1982 and December 2015. The 2008 crash of the global economy carved deep canyons in both curves. According to this history of the portfolio, Simon was mostly winning until 2006, and started mostly losing thereafter. The global recession of 2008 helped Simon to win again for one year. The developing global recession of 2015/16 may yet help Simon win again for some time. Updated 1/30/2016. 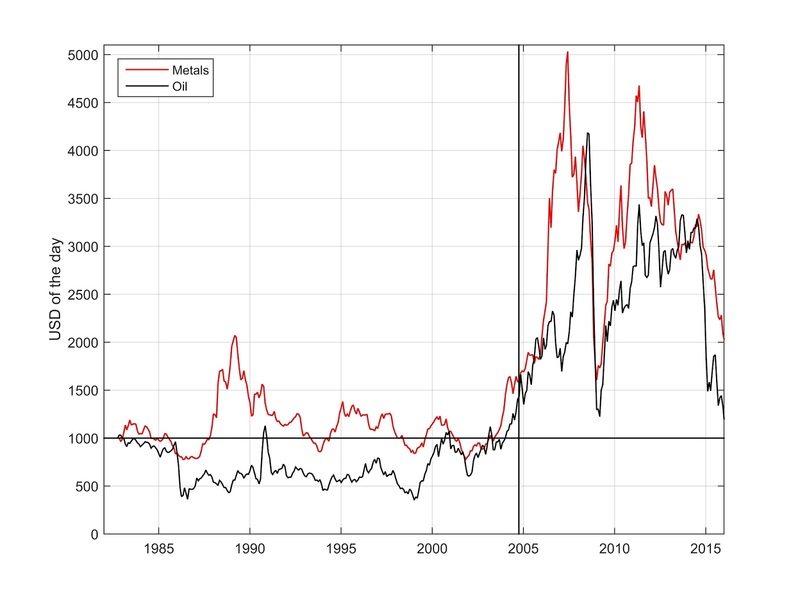 The plot above illustrates the dynamic nature of resource prices, their direct link to the price of oil, and the generally increasing prices of all commodities since the year 2000. A decade is less than a tick of a clock, and one cannot draw permanent conclusions based on a snapshot of global economy at any given time. Trends over years or decades are far more important. Today, the prevailing wisdom still is that the Earth's resources are infinite. If, on the other hand, one admits that the Earth is finite, all resources must eventually become scarce in absolute sense. The fundamental inability of "main-stream" economics to deal with absolute scarcity is probably the main reason why so many economists have wished it away and buried Malthus so many times. But as the another famous ecologist, Garrett James Hardin, once said, "anyone who has to be reburied so often cannot be entirely dead." The standard macro-economic model of global economy. P.S. Professor Albert Bartlett has send me this text of his 1996 paper that is very pertinent to this blog. According to the Old Testament the last major population adjustment occurred one time in the past 10,000 years. It had nothing to do with the land not providing and everything to do with violence. How people inhabit the globe; where they live and how they live, is the problem. Water is an infinite resource because Earth recycles it for us. However, it can be polluted and is being loaded with radiation, mercury, fracking chemicals, etc. This economic activity is being excused the same way wars are - time heals all wounds. They assume the abyss of the ocean and caves will swallow and somehow absorb, recycle and dissipate all this mess...or the next generation will figure out a way to clean it up. I do believe the next generation will be cleaning it up...but not in the way most people think it will be cleaned up. Read Revelations! Your comment touches upon the single largest deficiency of the governing macroeconomic models: The planet Earth and her environment are missing from the magic circles of firms and products, and consumers and labor that turn forever. In order to let the next generation clean up this mess, we need to change how we think about human economy relative to our host planet. If we use both science and scriptures to achieve this goal, so much the better. "anyone who has to be reburied so often cannot be entirely dead." Otherwise on a different subject, recent oil history, seems to me a guy is quite forgotten these days although he had a key if not primary role in the 7Oies oil history, James Akins. "first oil schock = Yom Kippur war/Arab embargo= geopolitical event = nothing to do with geologic constraints"
- In parallel this is also the period of "rebalance" between oil majors and countries on each barrel revenus. - Yom Kippur starts during an OPEC meeting in Vienna, which was about barrel revenus percentages, and barrel price rise. - It remains fictiv from Saudi Arabia towards the US : tankers kept on going from KSA, through Barhain to make it more discrete, towards the US Army in Vietnam in particular. (the "embargo story" was in fact very "pratical", both for the US to "cover up" US peak towards US public opinion or western one in general, but also for major Arab producers to show "the arab street" that they were doing something for the Palestinians). If this was a bit more known, maybe current propaganda "US energy boom, peak oil is dead, etc" would be a bit tougher to convey. Anthropology teaches us that we weave stories that are consistent with our prior experience and wishful thinking. With the complex events you have described, interpretation takes over, and facts are habitually left behind. Just yesterday, I read about an Italian fascist responsible for sending hundreds if not thousands of Italian Jews to Auschwitz. For 70 years, he was credited and richly rewarded for saving lives of thousands of Italian Jews. This colossal lapse of judgement was explained by the power of alternative explanations by the Catholic Church, Italian government, and Israel. Yes also read about Giovanni Palatucci or the "Italian Schindler" a few days ago, who was in fact quite the contrary. Before Julian Simon, with his unbounded optimism, died of a sudden heart attack at age 65 (he was doing very well until then, similar to the prosperity of the dinosaurs until they went extinct), I used to want to perform what was never realized in practice and so ended up being confined to only a thought experiment. The thought experiment was that you brought Julian Simon down to Town Lake in Austin, dressed him in running gear including running shoes, and directed him to set out jogging on the trail around the lake, specifying a time pace that would be at least mildly anaerobic. You would then follow along behind in a golf cart and monitor the situation. If Simon complained of being "short of breath," you would command him to continue running, dismissing his complaint by stating, "Nonsense. I checked the price of oxygen at a medical supply store just before you started running, and again just now. The price hasn't gone up. Therefore, oxygen cannot possibly be scarce. Please keep going, and don't slow down." It turns out that Simon apparently was not in as good shape as he probably thought he was. I would contend that, notwithstanding his unbounded optimism, neither was or is his civilization. I think that his comment shines bright light on the attitudes of so many economists and is worthy of sharing with the public. I really like your Austin Friend's analogy too. A sea-level jogger moves to the top of a mountain and goes for a run and can't understand why he is exhausted so quickly. Jeremy Grantham summarised Malthus well in a newsletter a few years ago: "his argument draws its power from its inevitability, not its immediacy." Yes, shouldn't it be obvious to everyone? But we must not underestimate the power of alternative explanations. The refined Ptolemaic model of the solar system ruled for 1,700 years or so, Copernicus and Galileo notwithstanding. The standard macroeconomic theories are in their third century of refinement, and still have not quite recognized that we live on the planet Earth that revolves around the Sun. Alas, we were all reminded today of the toxic waste leaking in Washington state. The tanks were built in the 1940s and are leaking into the water table. The hopes those builders had for the next generation to provide solutions to the problem have been dashed to pieces today. Also, I'd like to point out the incidents of cancer in our country (we all have someone close touched by the disease) and how commercial sweeteners like aspartame have been shown to be carcinogenic. Yet, agave nectar and Spiriva have been ignored and pushed out of the spotlights. It has to take an evil entity of supreme proportions (only identified in the Bible) to influence mass suicide. No, Kountry Mouse. Eating and drinking the stuff you mention is not mass suicide. It is mass murder. Humans are a part of the Earth's environment, just like ants, or birds, or fish. Since in our governing macroeconomic model production has a positive value and toxicity is an externality, the rest follows logically and humans too die prematurely. Humans are not "just like" anything else on Earth. We are aware and can do something about our own demise. We communicate with each other and reason in over 2000 languages and dialects. The theory of evolution is a fraud and should be ignored by any intellectually honest person. So who's building computer models of certain societies (American) including all the variables like migration, weather, disease, skirmishes, etc. Tad - "If we use both science and scriptures to achieve this goal, so much the better." Kountry Mouse - "The theory of evolution is a fraud and should be ignored by any intellectually honest person. Tad, I teach evolution to Kountry Mice... I also argue with thunderstorms. Both seem equally useful ;). Ya, try convincing people to euthanize 50% of everyone over 35 because they're just a drain on our system and most of them are know-it-all power mongers. That's truly a 'natural selection' and 'survival of the fittest'. Please look at Egypt. Egypt survived for thousands of years with the population between 1 and 4 million people, depending on the Nile inundations, drought, food abundance, famine, disease, peace and wars. The river Nile was the life giver to Egypt for about 5000 years. Today two giant dams stop the Nile from flooding the delta, renewing the once-fertile soil, and giving food to the population. Today, Egypt is pushing 83 million people, who have absolutely no hope of surviving in the long run. I want you to be clear on this concept: Most of the Egyptians living today have nowhere to go, but perish. What you see distorted by the uncomprehending media is the mortal desperation of these people, who lash out at their hapless government for this reason or another. 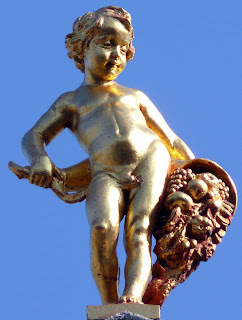 And the religious government cannot say no to the Egyptians procreating as God is willing them to... Does this ring a bell? What I see in Egypt is a struggle between the old way of doing things: centered around a religious, agrarian, Nile centric economy and the modern way of doing things: secularized western media dominated commercial enterprise. Since Egypt is sold by the media as one of the ancient wonders of the world one must visit before they die (secular pilgrimage), they have to be hospitable to a global population, about 10 million visitors annually. Tourism has to be consuming vast amounts of their limited resources (12% of their workforce) because of their average daily temperatures (85 to 105 degrees f demands air conditioning) and sprawled out kingdom sites (camels don't do all the work). Their gov't and economy functions much like the French who have become completely secular. Again, Egypts problems have more to do with how they inhabit the land and how they treat each other. Like most other countries in their region they are not tolerant of illegal immigration and shoot on site. This way of doing things is considered survival. However, in the USA, people don't see survival this way. They see people as another resource to be exploited politically and economically. Maybe if Egypt takes 3 million African muslim refugees (representing 4% of their own pop.) and put them to work making canals that will divert the impending massive flood water disaster due to hit them soon because of global warming...they might be able to do something about their children's futures. Our physiology is challenged by the extreme changes in temperature. People who have suffered heat stroke develop a permanent injury to their bodies ability to regulate internal temperature via the hypothalamus. However, people who are acclimated to working in the heat, people able to regulate their internal temperatures while working, will have a much better future. These people will probably be living 24/7 without a/c and have spent most or all of their lives near the equator. My point is that it does not matter anymore what our favorite interpretation of what we observe is. What matters is that Egypt is no longer a viable state and its bulging population is not viable as well. Oops...i messed up. Each citizen's annual pay check cut from the GDP pie should be $6.598 MILLION. Oh...and someone wrote...I think it was you...what the Gross GDP for the planet is. Which is something I've always wanted to know: How much TOTAL money is in the world to be had if everyone cashed out. I think it was like 70 trillion? Take all the money and divide by every living person/household and what do you get? Yes, the world's GDP is about 70 trillion dollars. That's 70x10^12 dollars. If you divide this number by the human population of 7 billion people (7x10^9), you get $10,000 per average person per year. But this $10,000 is not of course average income of a person, because so much of the GDP is generated otherwise. All of these calculations do not change the fact that the catastrophically overpopulated Egypt is no longer a viable state, no matter who rules it. The recent events there amply illustrate the points I made before June 29. There are many other catastrophically overpopulated states, and we will be seeing their collapse as well. You need to come to grips with a simple biological fact that there are way too many humans; likely 4 billion too many. Overpopulation results in most serious consequences, no matter how much in denial most of us are for religious or political reasons. You're right, man was not meant to rule himself. They do a poor job no matter what the population. I just checked. More than 40 million Egyptians scrap by on less than $2 per day, or $730 per year. Poor management it is, allright. Who ever suggests such a thing is a bone head. Think of "evolution" as a complex law that some people misunderstand, and that most people are not even aware of. "Ignorance is no excuse for (trying to) break the law (you can't break natures' laws, you can only test their limits and that leads to further complications with their own misunderstandings - a tangent..)." Science and religion are a tools. The hairless apes abuses both. The evolutionary theory is still a theory no matter how much you want to will it into law with your fraudulent "missing links" and other forms of pseudoscience. Science creates models. Models are discarded with no regrets when they fail. Good models are predictive. In other words, a good theoretical model can predict phenomena that have been missed by experimental scientists, and can guide them as to what experiments need to be performed. Evolution is a damn good predictive model; the best the biological sciences have produced. Armed with this model scientists were able to propose and then find the various missing evolutionary stages, or "links." There is no other model in existence that can be compared with the evolution models. Not by a long shot. And that's a scientific fact. The "model" is nature of which you're so fond. Life just appeared...suddenly...complete...and diverse with absolutely no morphing of any kind. The "model" for evolution of man from animals and single celled to complex, is imagination not facts. The belief in ape men is to serve the wish of men who do not want to be held accountable to God. Evolution has been used to classify other humans, especially africans and the criminal elements, to be of less intelligence and below other classes of HIGHER INTELLECT humans. We are not having a good discussion here. So let me explain a little better where I come from. All people are ignorant. Scientists are ignorant as well. However, scientists have learned to use their ignorance to ask questions, and disprove their working hypotheses. An experiment that supports a hypothesis is a measurement. One that doesn’t is a discovery. Many results may support a hypothesis but it only has to be shown false once to be abandoned. Science does not prove a hypothesis: it progresses by disproving a hypothesis. Religious people are as ignorant as scientists, but they do not formulate questions to disprove their religious feelings. In fact they seem to do the opposite. They formulate opinions and pick hypotheses to affirm their beliefs. They call this unscientific and logically fallacious process faith. There is nothing wrong to have faith without understanding. However, one should avoid putting an equal sign between feelings that have little or no basis in provable facts, and tedious, hard work to disprove one’s hypothesis. Science is not faith and faith is not scientific. The theory of evolution is still on the scientific books because there is insufficient evidence to disprove it. If there were sufficient evidence, we would move one to another, better model. The myths of God’s intervention, Intelligent Design, and so on, are just that, myths, to which one can readily construct counter-examples and disprove them. So when you choose to believe in myths, it is your prerogative. But please do not put down science. Instead try to learn more about evolution. I can point you towards a few good texts. Finally, how the ignorant non-scientists, who often profess to be religious, use scientific theories to their nefarious ends, is not the fault of the scientists. In fact, science shows clearly that racism has no basis in scientific facts. Racism has no basis in evolution, in particular.